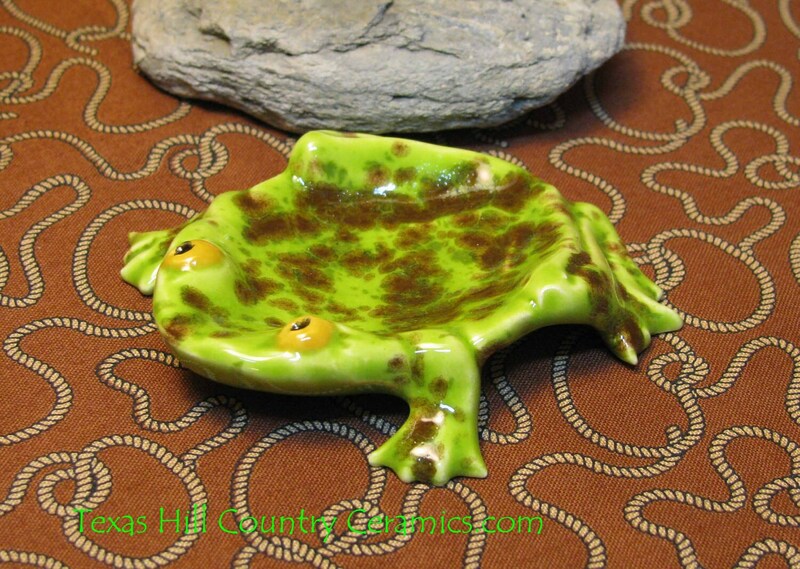 This ceramic frog is finished in a pistachio green glazed and makes a great little Tea Bag Holder or small spoon rest, it can also be used as an accent piece for an aquarium or indoor outdoor pond. 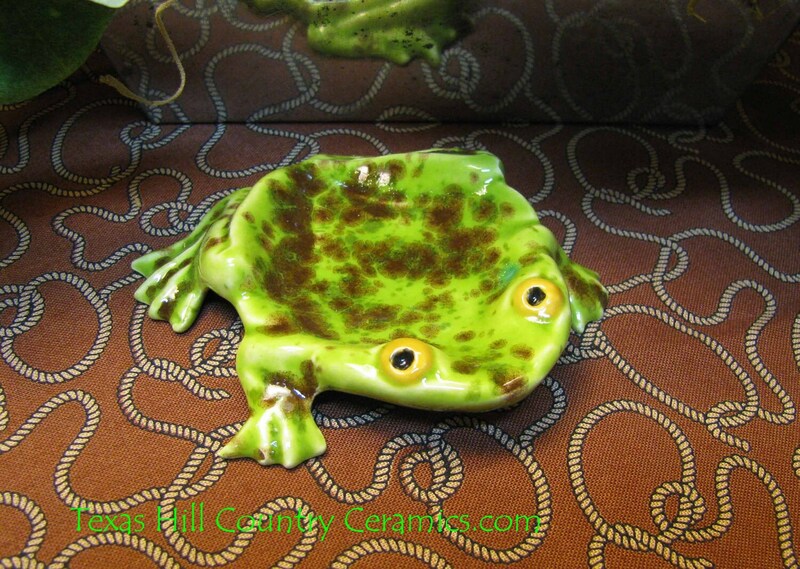 The little green frog is cast from a ceramic mold with clay slip and kiln fired. During the finishing process I use many techniques and products to achieve the final piece you see. The frog is dishwasher safe however hand washing is recommended. The color is Pistachio. Due to the type of glaze used the color pattern on the one you receive may vary from the photo. Pistachio glaze is food safe and non toxic. 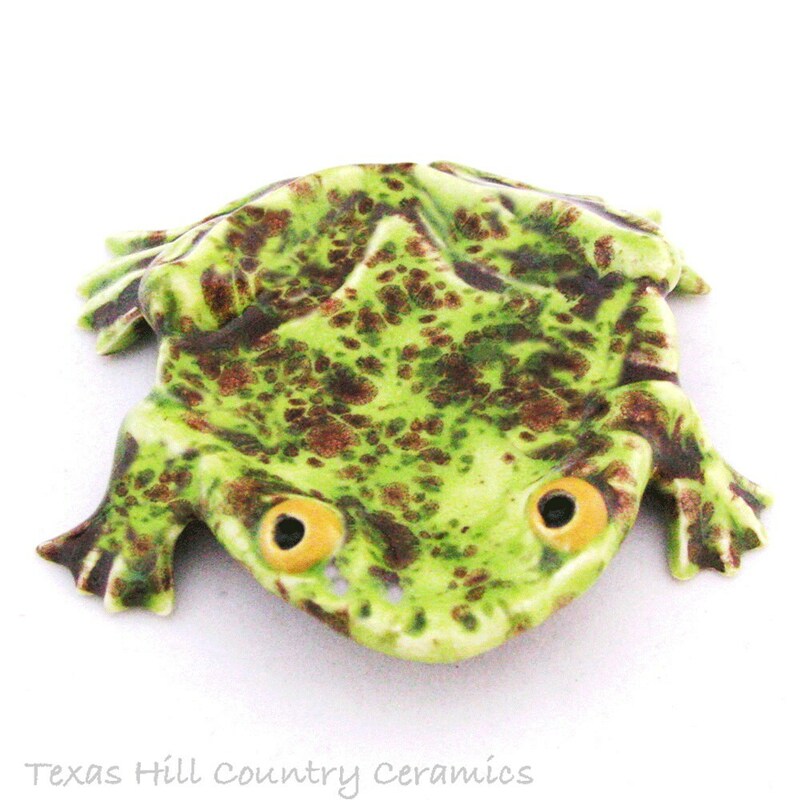 This ceramic frog has many uses. It can be used as a personal tea bag holder or caddy to hold used tea bags or as a small spoon rest or as a desk accessory to contain paperclips or staples. It can also be used to hold rings or jewelry next to a sink or night stand or to keep earrings safe. This piece is ideal as a decorative accent in a pond or aquarium too. It will also add to a tableware place setting theme, use it to serve condiments or small portions of anything you can imagine. 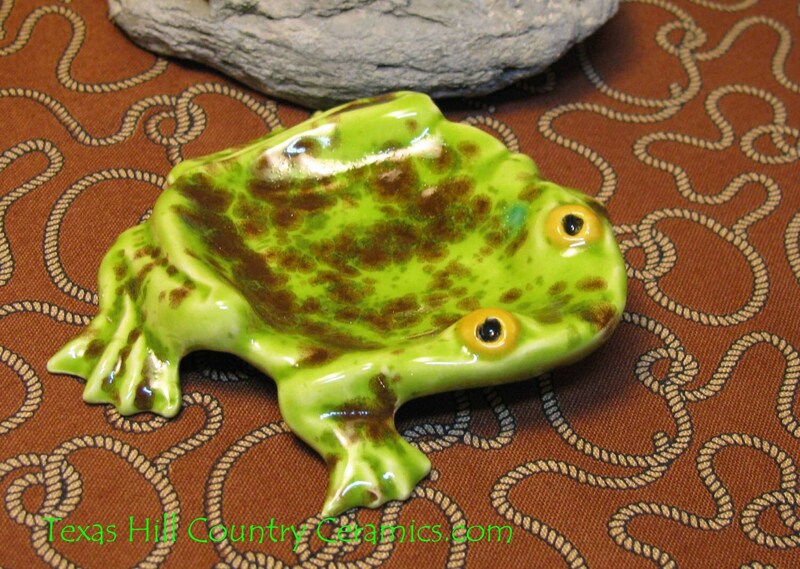 And if you are tired of drippy spoons or sticky messes next to the coffee or teapot this frog will help keep those areas neat and clean. This piece is great for those with limited space, some styles can be stacked too. They also make great gifts so keep some handy for that last minute gift you may need.